​The National Automated Clearing House Association will be implementing Phase 2 of the new ACH processing rules. This rule change will address the posting process for withdrawal transactions. The National Automated Clearing House Association will be implementing Phase 2 of the new ACH processing rules changes for all financial institutions. This phase will address the time frames for withdrawal transaction posting. In summary, ACH withdrawals now will generally clear member’s account within two business days after being initiated; with this rule change on September 15, 2017, these items could clear consumer’s accounts on the same day that they are initiated with the merchant. For additional information, please refer to the frequently asked questions (FAQ) section below. If you have any other questions regarding this information, you may visit a branch, or contact our member services department at 989.777.3620. 1) Why is this change occurring? Effective September 15, 2017, the National Automated Clearing House Association (NACHA) will be implementing Phase 2 of the new ACH processing rules changes. This phase will address the posting process for debit/withdrawal transactions. Phase 1 of the ACH ‘same day settlement’ rule was implemented in September 2016, and specifically addressed credit or direct deposit transaction processing. Phase 2 of the new rules will be implemented on September 15, 2017, and will address processing of electronic debit or withdrawal transactions. This new rule change is commonly referred to as Phase 2 or ‘ACH same day settlement’. In summary, this phase addresses the process of posting electronic (ACH) withdrawal transactions, and specifically how quickly these transactions may post. In some cases, debit transactions (payments that are withdrawn from your account electronically) may be initiated (originated) and posted to your savings or checking account on the same day. 2) What can I do to prepare for these changes? Review and make changes to any automatic or recurring payments that you may have scheduled, to ensure funds are available in your account on the date you authorized the payment. This may require you to contact the service providers directly to change the date of the withdrawal. This will help avoid possible overdraft fees or service interruption. 3) What does this ACH change mean? Effective September 15, 2017, phase 2 of the new mandated ACH processing rules will be implemented that may affect how quickly electronic withdrawals are posted to member’s accounts. They could be originated and posted to member’s accounts on the same day. Not all merchants will utilize the same day posting option, but they will have the option. 4) How might this affect me? 5) Why is this changing? 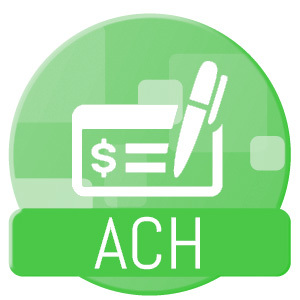 This is a mandatory change being made NACHA, by the organization that governs the ACH process, in an effort to improve settlement times for transactions and improve consistency between financial institutions posting practices for both deposits (Phase 1, September 2016) and now withdrawal processing (Phase 2, September 15, 2017). 6) Will this appear differently in my account history? Your transaction descriptions will not change. You may see transactions post to your account during the day or on the same day they are initiated. Files will now be posted multiple times each day. 7) Will this affect payments made using my credit card or debit card?